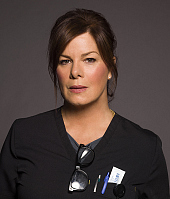 Marcia Gay Harden stars in ‘Code Black’ Wednesdays on CBS. The filming of Season 3 of “Code Black” has been done for a while, but Marcia Gay Harden remains breathless thinking about it. That’s understandable, since the Oscar- and Tony-winning actress again found herself amidst constantly moving cameras in the CBS drama about an intensely active Los Angeles hospital emergency room that returns Wednesday, April 25. Rob Lowe, Boris Kodjoe, Luis Guzman and William Allen Young are among other stars continuing their roles, with Moon Bloodgood a new addition for the third round as a paramedic. 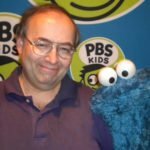 “You develop an ability to learn how to contain your energy,” Harden reasons, “how to mete it out during the day, which is typically 15 hours if you’re in all the scenes. The days when we’re all in the emergency room together, those take the biggest toll on us. There are just so many people crammed into that room, with three camera crews … but it’s so fast-paced and high-energy that when they call ‘Cut!,’ you don’t necessarily want to reset everything, because they might pick right back up again. So you stay. It’s also an active spring in other ways for Harden, since it sees the May 1 publication of “The Seasons of My Mother: A Memoir of Love, Family, and Flowers,” her book that parallels her own journey and that of her mother … an expert in ikebana, Japanese flower arranging, who has struggled with Alzheimer’s disease.